The Sword and Sorcery campaign on Kickstarter is starting its final week, with many goals achieved already. The campaign reached the outstanding mark of 3,000 backers on November, 2nd. With 7 days before the end, Sword & Sorcery is already the most successful project on the crowdfunding platform for Ares (surpassing the $276,745 of Sails of Glory, in 2013), and it entered the "Top 100" of most funded tabletop games on Kickstarter. Funding is currently over $350,000 and 29 stretch goals have been unlocked, adding lots of new content to the Kickstarter edition of the game. Other than the campaign numbers, the game has gathered outstanding attention also in the biggest online board game community, BoardGameGeek. The Sword and Sorcery giveaway contest held from October, 26th, to November, 1st, sponsored by Ares Games, had 5,063 entrants, entering the "Top 10" of the BGG giveaway contests with more participants. 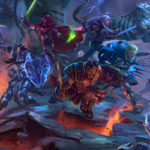 Backers can also get new Add-Ons to enhance their game experience, including a complete expansion with an impressive five-headed dragon: Vastaryous’ Lair, including everything needed to play four Quests, with new Epic powers, armors, and items, and new mechanics to resolve the climactic fight against Vastaryous - an opponent even more powerful than a “normal” Master Enemy. The Kickstarter campaign ends on November 13th 3 AM CET, but there are more goals to be revealed in the final stretch. 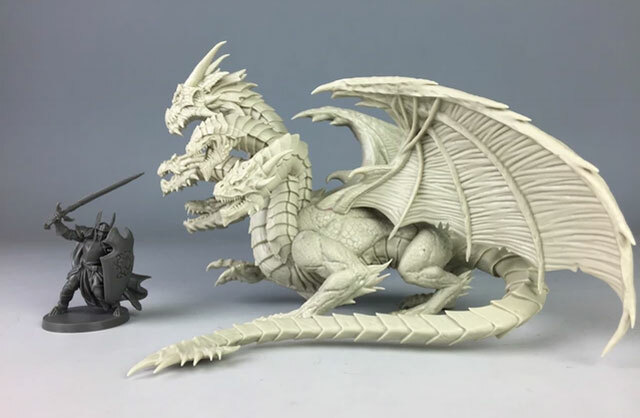 For more information and to pledge, visit the Sword and Sorcery Epic Fantasy Co-op board & miniature game page on Kickstarter. To learn more about the game, see the preview articles published here. See also the game’s website – www.sword-and-sorcery.com, and follow the Sword & Sorcery Board Game Facebook page.